You've seen Gilbert Stuart's work even if you don't think you have. You may not even realize you've been carrying around a portrait done by Stuart! A flipped version of his unfinished painting of George Washington, referred to as the Antheneum portrait and co-owned by the Smithsonian National Portrait Gallery and Museum of Fine Arts, Boston, is the exact same one that is on the one-dollar bill. Stuart was super popular both in America and Europe painting dignitaries, the first six Presidents, and socialites. Good financial management however, is essential and he racked up debt like crazy, at one point almost getting sent to debtors' prison. Instead of making more and spending less, he ran away to Ireland where he fell into deeper debt. Eventually he found a decent business model selling copies of his most famous painting of George Washington at $100 a pop. In 1940, the US Postal Service released a series of stamps commemorating famous Americans in the fields of art, music, and science, which featured Stuart on the one-cent stamp. His childhood home in Saunderstown, Rhode Island was restored in 1930 and designated a historic landmark in the ‘60s. The museum is open from May to October. Junior docents dressed in historic garb lead tours on the weekend. 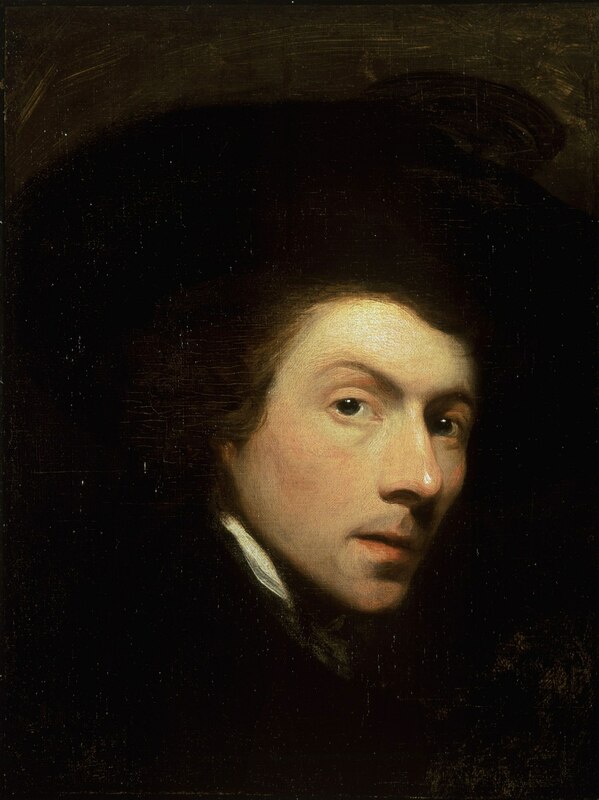 Check out the full Wikipedia article about Gilbert Stuart.